With improved speed and support for HTML 5, Internet Explorer 9 could be Microsoft's next step toward restoring its old mojo. 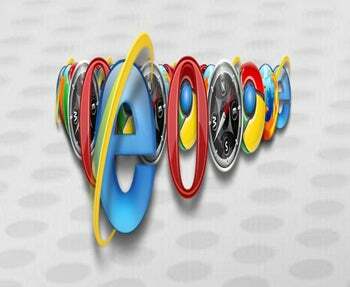 Microsoft hasn't shown very much of its next Web browser, and hasn't announced a release date. The most you can do is preview some of Internet Explorer 9's capabilities, which say nothing about the browser's user interface. Still, what Microsoft has shown so far is enough to get people excited. What we don't know about yet are user interface and security. Even if Microsoft overhauled neither, Internet Explorer 9 would still be in pretty good shape. IE8 got creative with accelerators and Web slices. It also caught up with the competition on features like drag-and-drop tabs and private browsing. With the addition of other security features, a test by NSS Labs, albeit sponsored by Microsoft, found that Internet Explorer 8 was the safest browser. But users of Chrome and Firefox are likely to say that something just feels faster about their browsers, and for good reason: PCWorld's speed tests from last summer put Chrome ahead of the pack, and Firefox in front of Internet Explorer. With IE9, Microsoft's at least showing a willingness to join the horse race. Of course, Microsoft still has a wide lead in the browser wars. In the most recent market share estimates from NetApplications, Internet Explorer has 61.2 percent, compared to 24.2 percent for its closest competitor, Firefox. However, IE's share slides every month, and the browser now faces tougher competition from Google Chrome. It's possible that Microsoft will be powerless to bring back defecting users. There may be something about the look and feel of Internet Explorer, or its standing as the most common target for security attacks, that drives people away. But at least Microsoft's tackling the issues that have held its browser back from greatness.